Abdominal muscle transplant to arm stump. 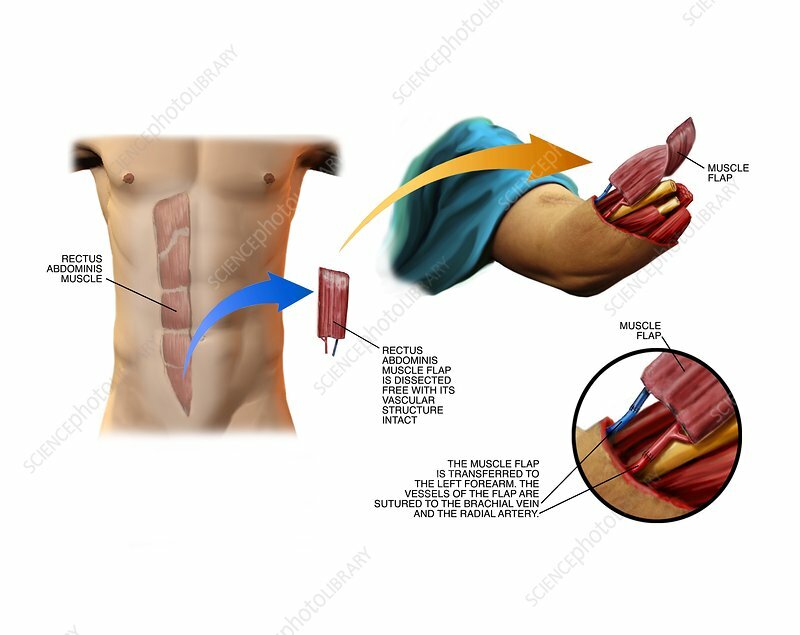 Artwork sequence illustrating surgery carried out to transplant a microvascular muscle flap from the rectus abdominus muscle of the abdomen to an arm stump. At left, surgery is carried out to remove a muscle flap from the abdomen with its vascular structure intact. At upper right, the muscle flap is attached to the left forearm stump. The inset at lower right shows the muscle flap's blood vessels being attached to the stump's radial artery and brachial vein. For this procedure with a skin graft also taking place, see C021/0853.